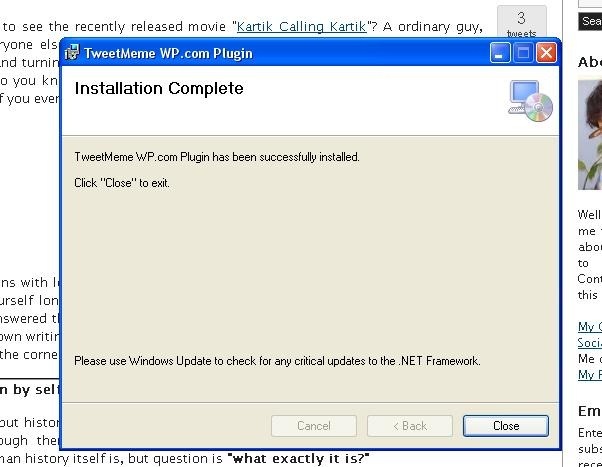 Since I started posting my blog posts through Windows Live Writer, I was searching for more and more plugins to make the life easier for me. Plugins really do much great work for people like me, who don’t want to mess with HTML formatting etc and just want to concentrate over content only. There are a quite a many Live Writer plugins on official site and it was easy to spot them on the first day once I started using Live Writer. Even mentioned a few, I liked and recommended that time. 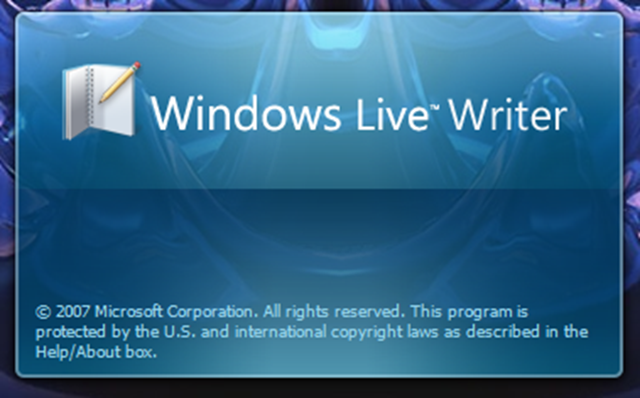 Windows Live Writer was a fresh air for me as it allowed me to do many new things, which were not possible earlier through web way or through Microsoft Word 2007 (which I was using earlier). It was not only generating simple yet efficient HTML codes, but also was free. Options to add as many plugins made it a killer for anything else. Sometimes, if we don’t use, then we don’t come to know about strength of things. Many people were thinking Orkut and Facebook as waste of time and started loving once used. Same with Twitter. It has became the biggest phenomenon of century, but still I was away from the same as I didn’t thought about whole concept and took it as kind of status update service only. Yes!! it is, but its openness, reach and popularity makes it one of most effective tool on internet. I started recently with twitter, buzz, facebook and all… sure Twitter still rules..
What is TweetMeMe and how the button look like on your blog? 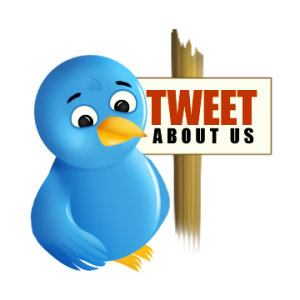 Twitter been a major source for spreading stories and so a very useful way for blogger for bringing traffic to their blogs. Not only bloggers but readers also get profited by simplicity of the process to spread the good words. The green button would look like something as given on the top of my post. What’s the problem with Live Writer+Wordpress.com+TweetMeMe? What is the first hand workaround? Ofcourse, need to change the yourtwittername with yours and also opening and ending brackets . 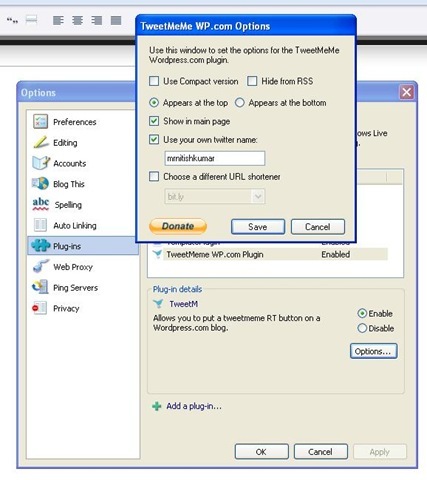 I started using the same and at the same time tweetted that if someone has a working plugin? For my surprise, very soon, I got the reply from the man himself, the writer of the original TweetMeMe plugin from Windows Live Gallery; Scott Lovegrove. In few tweet conversations, he offered me that he could work out a plugin to support wordpress.com as well. I was overwhelmed for sure and was happy to hear if he can. Few mins more and he was right there with a new plugin (not available in Gallery yet) to function in exactly the same manner. Scott is great, Twitter is great, Live Writer is Great!!!! I know many wanted this to work out of the box and here you go. Not sharing the MSI right now, as waiting for Scott himself to publish the same. Though anyone could contact him directly otherwise, he himself has promised to come up with a blog post and also to push this new one on Live gallery. Worth waiting. Excellent stuff, first to congrats you on this, bookmarked. Next Next post: Whats wrong with Social Services of Google?